…winter, snow, my strenght & sushi! Anyway, nothing stops me when it comes to my passion: training, improving my self, striving for “perfection”.. I am so glad that I have this great interest, this passion, this “everything”.. because nobody can take IT away from me. Champion! It was not just a coincidence, or a “lucky strike”.. I have spent years in the gym, working on my physique, improving it, towards an “ideal” appearance..
although it all seems to be “dark as a pit”.. Well, Life is not fair, no way, but you can choose only to focus on the good things..
just focus on doing what is neccessary to achieve your goal! You will get there, but it takes an effort. You need to want it! Believe in yourself, and have faith! That is the real strength in life! This is the result (yammi! 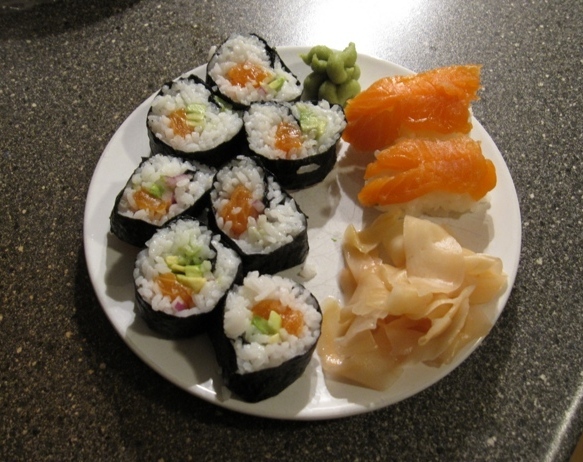 ), when I for the very first time made my own 100% home-made sushi & maki. cooking, so when I have the time, I try out new healthy recipes, or try making something new. ..Say no more! It tasted just as delicious as it looks! .. And YES, I will definately make some more, very soon! 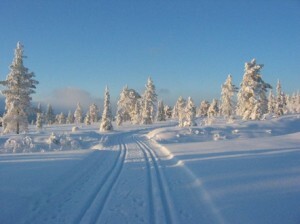 in Norway at the moment, REALLY feels like living on the North Pole..
Wishing everybody a nice Weekend!